Pratap Udaya Raj G, came to InFI as a fresher with Bachelor’s Degree in Computer Science and Engineering. He is part of InFI’s 3rd SharePoint team. InFI gathered six member team to develop SharePoint applications development group for QFingers, a partner company of InFI. Pratap and his team was mentored by Gopal and Maha on technology, personality and communications. He worked very hard to build the skills required at InFI with the help of mentors, and succeeded in getting career break as Sharepoint administrator. 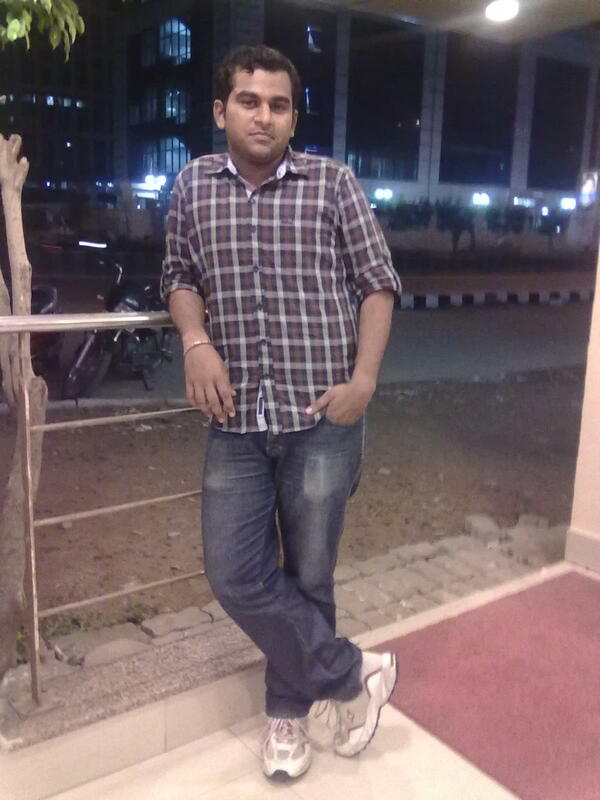 Pratap is currently working as SharePoint administrator in Dell Services. He has gained expertise in designing and developing custom SharePoint 2010 applications, WebParts, apart from Visual Studio.Net 2010, C# and most .NET Frameworks. 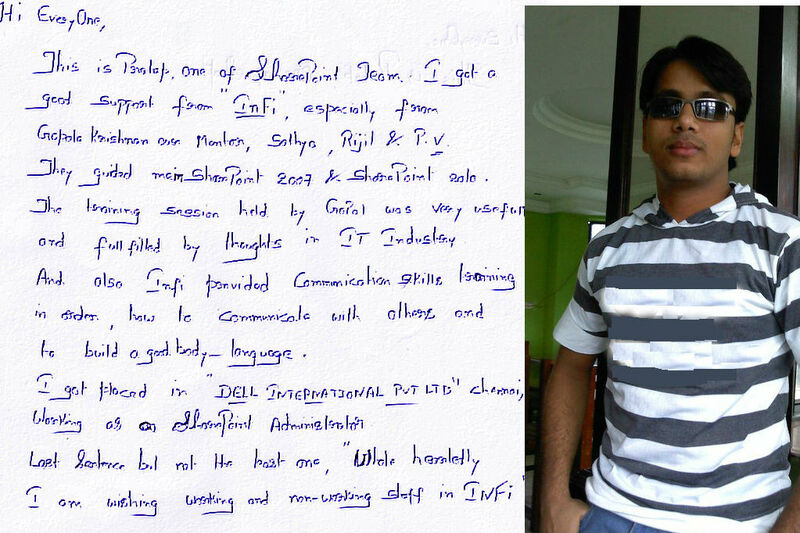 InFI wishes Pratap continued success in his career as Software Engineer. He can be reached at pratapdude65@gmail.com for help on SharePoint related career advice. Praveen , MBA finance and accounting professional – successfully transitioned into the business analyst role and got career a break into IT industry, with the InFI mentoring program. Praveen walked into InFI in Aug 2011 and discussed his career plan and asked for our expert opinion . InFI was just planning to create a team of entry level ERP professionals for it’s multinational customers who have their own products. InFI gathered ambitious youngsters from different backgrounds and mentored them on basic ERP functionality and the role of a Business Analyst in general. Praveen was picked-up by 3I to support KASTLE implementation as a business analyst. His work was appreciated by the product and business heads of 3I, for his thoroughness in product and lending business skills. He is currently working as Associate Consultant for CapGemni; InFI wishes him great career in IT. He may be contacted at praveen.nair86@gmail.com for career guidance.